As a new feature we introduced the recommendation system. Thanks to the recommendation your customers will find in the detail of a product other products that should be ordered together with selected product. 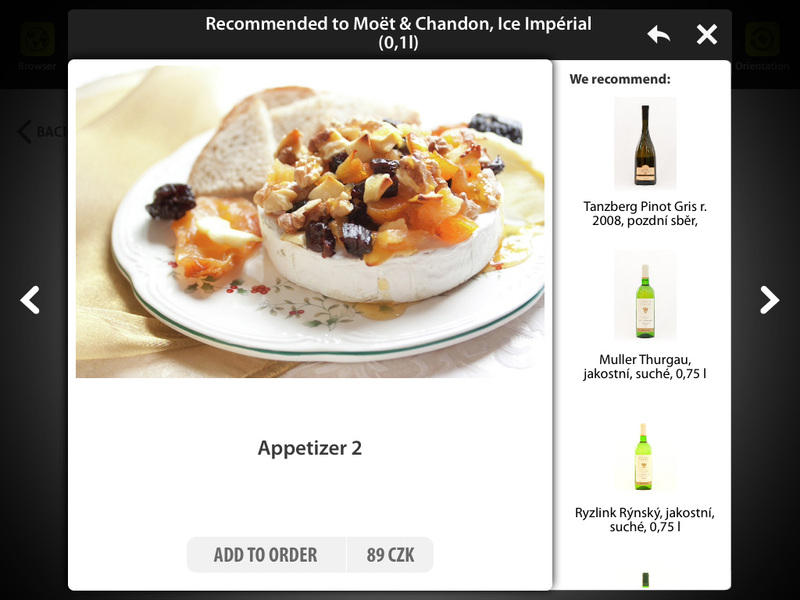 With this feature you can recommend a hot drinks with desserts or wines with main meals. 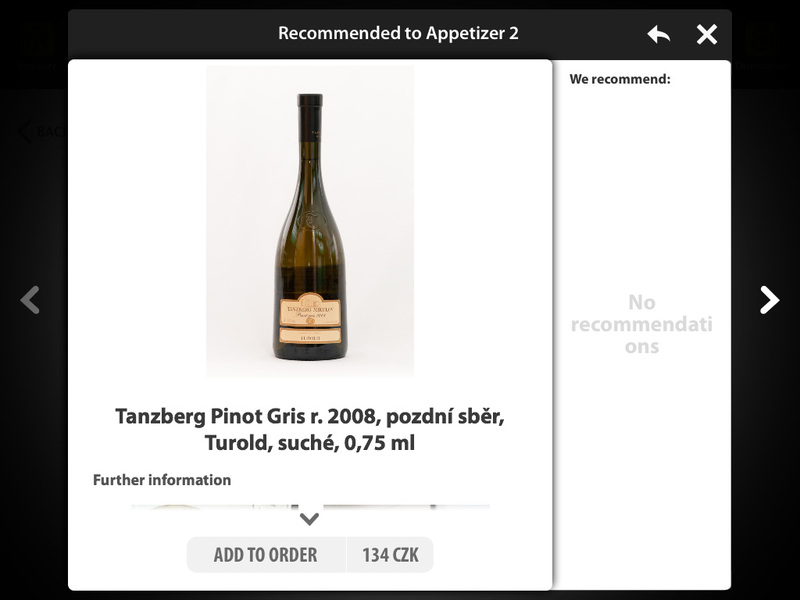 Recommendations are displayed in the product detail, where customers can find not only more information about selected product, but also a list of products recommended in the form of small icons at the side of the window. By choosing a recommended product customer will open product detail of recommended product. 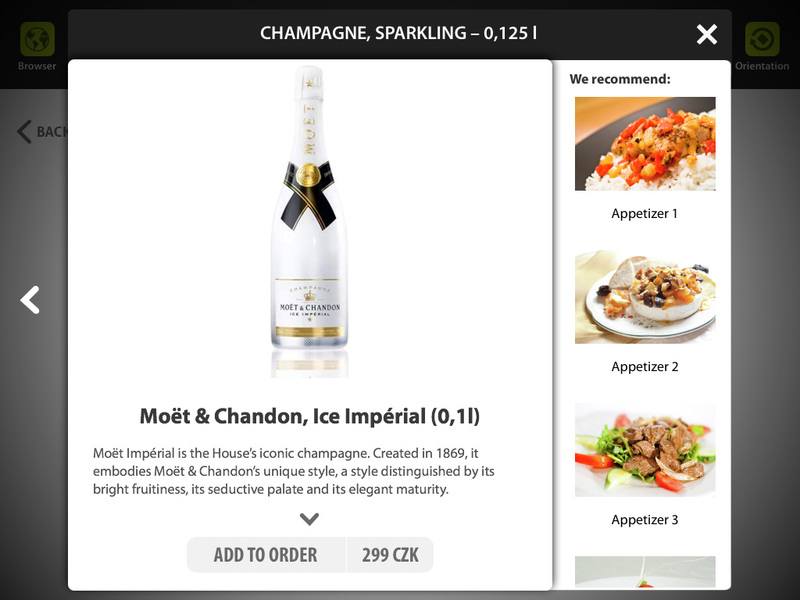 Thanks to recommendation customers can view the entire menu from one place. This feature will streamline your sales and profits and give customers opportunity to simply choose complementary products without having to go through the whole menu. Browsing in Spectu is so much faster and more convenient.